You are here: Home > Tourism News > 1st time -SL Tourism in Global Cruise push in Busan Korea. Sri Lanka Tourism in its new thrust in partnership with SLITO and THASL that has chalked a new marketing plan has ventured out to capture a new market segment "Cruise Tourism" which is worth 21.7 million worldwide guests with Sri Lanka registering a number of fifty thousand plus for the year 2015 said Chairman Sri Lanka Tourism Promotions Bureau Rohantha Athukorala. 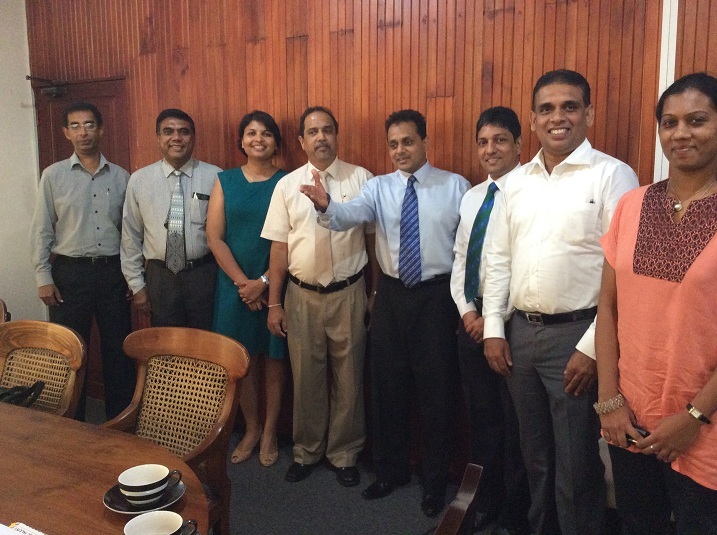 The Sri Lanka Delegation to the premier cruise fair- 1st step of a new market development. For the 1st time Sri Lanka Tourism will be present at the top B2B cruise fair Sea trade Cruise Asia hosted by Busan Port Authority, Busan Metropolitan City, Korea Tourism Organization and Korea Marine Leisure Network on the 11-13th June 2015. The event will feature a showcase exhibition, conference and travel agent training. The conference will focus on the growing momentum for cruise tourism in Asia as well as cruise shipbuilding today and in the future. Sri Lanka's delegation will include industry veteran Bernie Dole and ten leading operators in Sri Lanka for the top cruise liners of Celebrity, Royal Caribbean, MSC which constitute over fifty percent of the cruise liner market globally. We will sponsor one of the segments at the conference where top speakers like Alan B. BUCKELEW Chief Operations Officer, Carnival Corporation & Plc, Michael HACKMAN EVP, Marine Operations and New Ship Building, Genting Hong Kong Limited, Anthony H. KAUFMAN SVP, Asia Operations, Princess Cruises, Ki-tack LIM President, Busan Port Authority, Zinan LIU Vice President China & North Asia, RCCL, & Chairman, CLIA North Asia, Oliviero MORELLI President, Japan, MSC Cruises said Chairman Athukorala. Sri Lanka Tourism will sponsor the Sea Trade Cruise Asia conference in , Korea. The sea trade Cruise Asia conference programme provides an opportunity to assess the pace and direction of growth in the world's fastest growing cruise sector and for a country to engage the key itinerary planners to include Sri Lanka into the future cruise iternaries said chairman Athukorala who believe that this segment can be developed to cross the one hundred visitor mark within the next two years. The cruise travel business better known as the ' floating marine resorts of the world' that attracts the most wealthy globally has doubled in business for Sri Lanka with 14 cruise liners calling the country in 2012/13 registering visitor arrivals of 19,615 cruise travelers whilst in 2013/2014 Sri Lanka attracted 22 cruise liners into Sri Lanka with visitor numbers going up to 27,317 whilst this year the numbers have spiked to 40 cruise liner arrivals and overall visitors expected to be fifty thousand plus in 2015 voiced Athukorala.